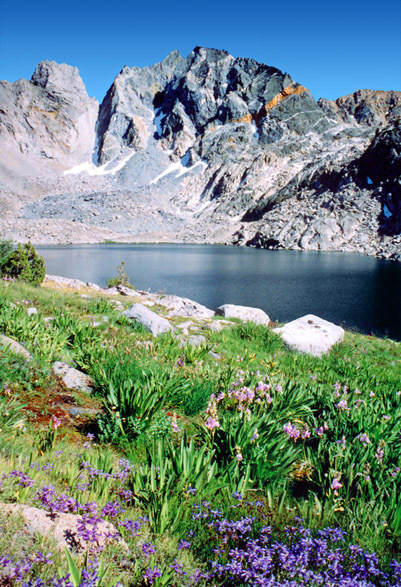 This lake is in Rae Lakes Basin, deep in the Kings Canyon backcountry. You're gonna have to do some serious hiking to get here. Dragon Peak has some nice striations in it, which is common in this area. Dragon Tooth is the peak on the left. The pink flowers are Shooting Stars. The blue and purple flowers are species of Penstemon.